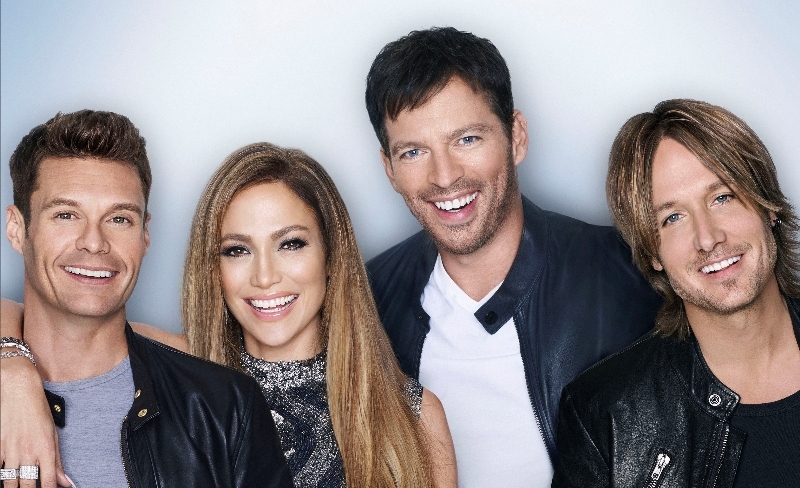 ABC Is Bringing Back American Idol - Are You Screening? photo: Matthias Vriens-McGrath FOX. © 2014 FOX Broadcasting Co. Variety has reported in an exclusive (see below) that ABC has apparently closed the deal with Fremantle Media to bring back American Idol. In related news, cats and dogs are living together… etc. Any details are obviously pretty sketchy at this point, but the idea seems to be to bring the show back in March and air it on Sundays. Speculation about the show has been circulating over the last week, which already had people speculating about Ryan Seacrest‘s ability to return to the show. Having just been announced as the new co-host of Live! with Kelly Ripa (or Live!, or whatever the technical name of that show is), it’s unlikely he will be able to maneuver through a schedule that could accommodate both roles. According to Variety’s report, ABC wasn’t quite so hot for the show earlier in the year, and NBC looked like the most likely network to pick up the show, if anyone did. Though speculation abounds, and will for quite a while, one of the most notable details is that Simon Cowell won’t be able to return due to his contract with NBC. Of course, having left the show long behind, he may not have had any interest anyway. The real question is if a real reboot of the show can solve the problems that led to the ever-dwindling ratings of the original. You can bet that first episode is going to deliver some insane ratings, but this is a show that people abandoned in droves. Is anyone going to care if it comes back? Depending on how the contract works, there’s a lot of room to switch things up, but it seems that the show was moving toward its inevitable destruction for a long time. Viewers obviously leave such things for a lot of reasons, but it seemed as though audiences lost their ability to listen to judges try to endlessly convince them how strong the talent was. Like a kind of publicist’s nightmare effort to avoid an audience that had a chance to ask too many questions, the last two (perhaps even three) seasons of the show felt a lot like being trapped with a cliche of a used car salesman. You can’t say the contestants are bad, or people will start to wonder why they’re watching a show with bad singers, and why you put them through to this round of the show in the first place. At any rate, there’s bound to be a ton of news on this horizon here, and a lot of the potential is obviously going to come down to the judges and the host. So, who should judge at this point? And, does it matter?